Science by the word itself is a nightmare for humanities and commerce students. While preparing for civil services, General Science does not aim for memorization of facts but it aims for clarity of concepts. A thorough preparation and studying NCERT books die heartedly can certainly make the way much easier. The General Science subject for UPSC essentially is a combination of Technology, Physics, chemistry and Biology. Let’s understand them one by one. This section of GS mostly requires the knowledge of latest technologies and what all technical developments happening around the world and India. The questions may involve talking about the missiles, robotics, latest software technologies, crypto currencies such as bitcoin, space missions such as Agni, Prithvi etc. Newspapers and internet can be great source for gaining knowledge about these. This section comprises of 6-8 questions. Most of the GS section comprises of Biology questions with more focus on zoology and lesser on botany. Most of the questions cover nutrition, diseases and human physiology. There has been a shift in the pattern of questions asked from direct answering to applying the knowledge gained. General trend in Botany includes plant physiology, genetic models of Mendel, plant tissues etc. You must also be aware of the recent diseases, viruses and their prevention measures. Again this information can be gained from internet or by reading the newspaper regularly. The questions which are asked in Physics are application oriented. You must be thorough with all the laws and principles of physics and hold a good command over them. You will never be asked direct questions. Some important areas which you cannot miss are electromagnets, Newton Laws, Heat, Optics, Nuclear Physics, Sound, Laws of Motion, electricity and Magnetism. A sound understanding of the concepts will help you solve all the concept oriented problems very easily. If you find difficulty in understanding the concepts either you can contact the expert or you can watch a good online video regarding the same. Though less, but chemistry doeshold equal importance in GS section. There are generally 5-6 questions asked as compared to higher weightage to other sub-sections such as physics and biology. A special focus has to be laid by you on periodic tables, minerals and their ores, organic chemistry etc. Mostly the chemicals which hold economic significance are asked such as questions related aluminum, brass, alloys etc. Studying the NCERT books from class VII to X will be able to clear your concepts. There is a lot of study material available over the internet. You can also download UPSC related apps which will prepare you for the upcoming exams and help you in self evaluation. 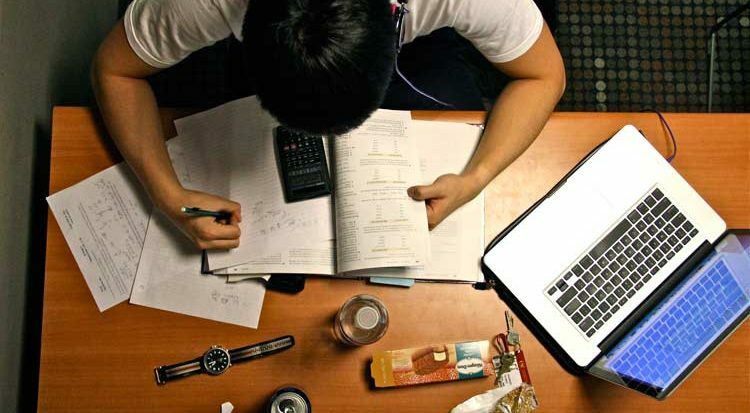 It does not matter how much hours do you study but what matters is how effectively you study. If you are studying 10-12 hours a day, but still not able to focus properly, then you are back to square one. Remember it is very important to revise. Keep the last couple of weeks purely for revision. If you properly categorize the GS sections and work in a strategic manner, you can easily secure qualifying marks. How to give your essay a proper shape?